Who should we thank for the referral? Always N Bloom's Facebook page for the most recent wedding photos! 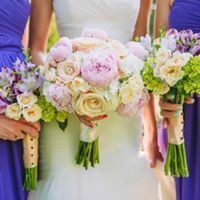 If you are looking to book a florist for your upcoming wedding or event, please visit the Contact page and fill out the Pre-Consultation form so that we can set up a time and date that work for your schedule. Most weeks we can accomidate morning, afternoon or evening appointment times to make meeting with Always N Bloom more convenient for you.